Annual Report for Fisher & Paykel Healthcare for the 2018 financial year. Annual Review for Fisher & Paykel Healthcare for the 2018 financial year. Interim Report for Fisher & Paykel Healthcare for the 2018 financial year. Annual Review for Fisher & Paykel Healthcare for the 2017 financial year. Annual Report for Fisher & Paykel Healthcare for the 2017 financial year. Interim Report for Fisher & Paykel Healthcare for the 2017 financial year. Annual Review for Fisher & Paykel Healthcare for the 2016 financial year. Annual Report for Fisher & Paykel Healthcare for the 2016 financial year. Interim Report for Fisher & Paykel Healthcare for the 2016 financial year. Annual Report for Fisher & Paykel Healthcare for the 2015 financial year. Annual Review for Fisher & Paykel Healthcare for the 2015 financial year. Interim Report for Fisher & Paykel Healthcare for the 2015 financial year. 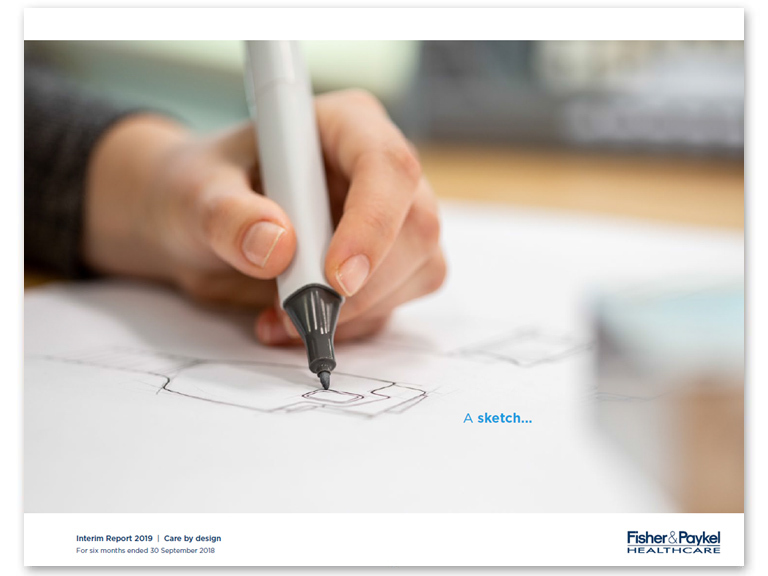 Annual Review for Fisher & Paykel Healthcare for the 2014 financial year. 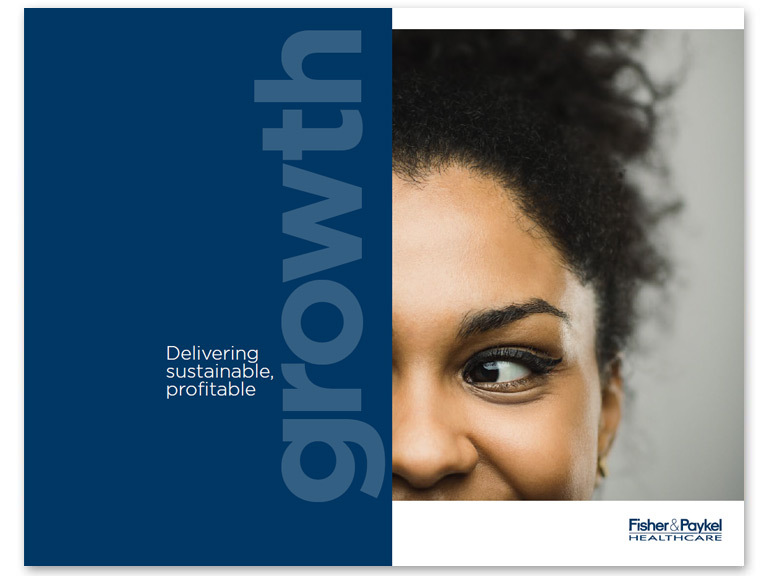 Annual Report for Fisher & Paykel Healthcare for the 2014 financial year. Interim Report for Fisher & Paykel Healthcare for the 2014 financial year. Annual Report for Fisher & Paykel Healthcare for the 2013 financial year. Interim Report for Fisher & Paykel Healthcare for the 2013 financial year. Annual Report for Fisher & Paykel Healthcare for the 2012 financial year. Interim Report for Fisher & Paykel Healthcare for the 2011 financial year. Annual Report for Fisher & Paykel Healthcare for the 2010 financial year. Interim Report for Fisher & Paykel Healthcare for the 2010 financial year. Annual Report for Fisher & Paykel Healthcare for the 2009 financial year. Interim Report for Fisher & Paykel Healthcare for the 2009 financial year. Annual Report for Fisher & Paykel Healthcare for the 2008 financial year. Annual Report for Fisher & Paykel Healthcare for the 2007 financial year. Interim Report for Fisher & Paykel Healthcare for the 2007 financial year. Annual Report for Fisher & Paykel Healthcare for the 2006 financial year. Interim Report for Fisher & Paykel Healthcare for the 2006 financial year. Annual Report for Fisher & Paykel Healthcare for the 2005 financial year. Interim Report for Fisher & Paykel Healthcare for the 2005 financial year. Annual Report for Fisher & Paykel Healthcare for the 2004 financial year. Interim Report for Fisher & Paykel Healthcare for the 2004 financial year. Annual Report for Fisher & Paykel Healthcare for the 2003 financial year. Interim Report for Fisher & Paykel Healthcare for the 2003 financial year. Annual Report for Fisher & Paykel Healthcare for the 2002 financial year. nformation Memorandum for Fisher & Paykel Healthcare upon separation from Fisher & Paykel Appliances. Annual Report for Fisher & Paykel Industries for the 2001 financial year. Annual Report for Fisher & Paykel Industries for the 2000 financial year. Below are our most recent presentations. Click 'View more' to see more. Please note: The information contained in each presentation you may review is only accurate as of the respective date stated and reflected management's view as of that date. No obligation is given to update the information in the presentations. Fisher & Paykel presentation to analysts and fund managers, to support the company's results for the half year ended 30 September 2018. Presentation to investors and proxy advisors during meetings in October 2018. Fisher & Paykel Healthcare Annual Shareholders' Meeting slides - 23 August 2018. Fisher & Paykel presentation to analysts and fund managers, to support the company's results for the financial year ended 31 March 2018. Fisher & Paykel presentation to analysts and fund managers, to support the company's results for the half year ended 30 September 2017. Fisher & Paykel Healthcare Investor Day presentation in Sydney, 16 October 2017. Fisher & Paykel Healthcare Annual Shareholders' Meeting slides - 24 August 2017. This presentation supports the company's financial results for the year ended 31 March 2017. Fisher & Paykel presentation to analysts and fund managers, to support the company's results for the half year ended 30 September 2016. FPH presentation to investors in Hong Kong, the Goldman Sachs Investment Conference in London and the Bank of America Merrill Lynch Investment Conference in New York. Fisher & Paykel Healthcare Annual Shareholders' Meeting slides - 23 August 2016. This presentation supports the company's financial results for the year ended 31 March 2016. Presentation for analysts and fund managers at the Deutsche Bank / Craigs NZ Companies Day Conference in Sydney on 8 March 2016. This presentation supports the company’s financial results for the 6 months ended 30 September 2015 which were released on 27 November 2015. Presentation from the Fisher & Paykel Healthcare 2015 Investor Day held at Deutsche Bank in Sydney. Fisher & Paykel Healthcare Presentation to Macquarie Australia and New Zealand Corporate Day 2015 in Hong Kong and Singapore and Goldman Sachs Australia and New Zealand Investment Forum in London. This presentation supports the company’s financial results for the full year ended 31 March 2015 which were released on 29 May 2015. FPH Presentation to Deutsche Bank / Craigs NZ Companies Day Conference. Fisher & Paykel Healthcare Corporation Limited provides the attached presentation to be given to investors during the site visit to the company’s Tijuana manufacturing facility and US corporate office in California. Fisher & Paykel Healthcare Presentation to the Macquarie Australian and New Zealand Corporate Day, Hong Kong and Singapore - 5 and 6 September 2013.